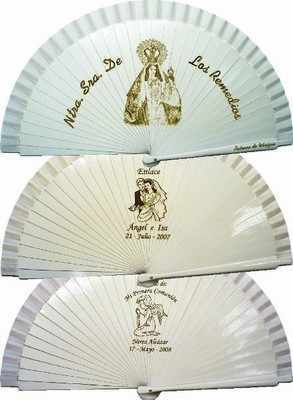 Personalised Wedding Fans. Message to be engraved on the handle. Minimum order quantity of 100 fans.